When Spiderman was young, he could do no wrong. 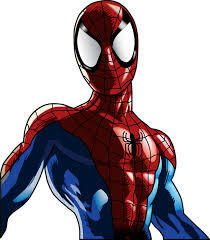 He glided from place to place, shooting out webs and taking care of the bad guys. But when he was older, Spiderman’s super powers were not so sharp. His vision was blurry, his hearing was dull, and he had difficulty telling the good guys from the bad. That’s the story of Stan Lee, the creator of Spiderman, X-Men, Hulk and a host of other Marvel Comics Superheros. When he died recently, Lee’s $50 million estate was surrounded by controversy and allegedly under attack by financial predators. At 95 years old, Lee was having issues with his vision, hearing, and memory and was unable to “resist undue influence”. Just a few months before his death a temporary restraining order was issued against a man who claimed to be Lee’s caregiver. Kenya Morgan, a memorabilia collector and dealer, inserted himself into the situation after Lee’s wife died. The TRO barred Morgan from abusing, harassing or contacting Mr. Lee. Elder financial abuse is already a widespread problem and expected to get worse as more people live into their 90’s and 100’s with a diminished capacity to handle their financial affairs. According to the Wells Fargo Elder Needs Survey, 1 in 5 Americans age 65 and older have been harmed by elder financial abuse. You’d think it’s strangers and scam artists ripping off our senior citizens, but in reality, two-thirds of financial crimes against seniors are committed by people they know—family members, friends, or trusted persons such as in-home caregivers. The National Adult Protective Services Association says the elderly are scammed out of $36 Billion every year through exploitation, criminal fraud, and caregiver abuse. And most of them get away with it; only one in every 44 cases of elder financial abuse is ever reported. Estate planning can help avoid some of the problems Stan Lee experienced. According to Beth Shapiro Kaufman, president of the law firm Caplin & Drysdale, use of a revocable trust provides better protection against elder financial abuse. Specifically, a standby revocable disability trust allows a successor trustee to take over management of the trust assets in the case of incompetence or incapacity. It usually requires attestation from two doctors licensed in the state where the trust grantor lives. Another crucial part of the plan is picking a trustee(s) who can really be trusted. Many of Stan Lee’s problems revolved around the people in his inner circle. That’s the case in most elder financial abuse. When picking trustees, ask yourself why you’re picking that person. Will they be influenced by someone else? Have you ever seen ANYTHING that indicates they have ulterior motives? Choosing your oldest child or the one who lives closest is probably not the best way to make the choice. A better solution may be using a corporate trustee—an entity with no ties to the individual that follows an unemotional process guided by law and a group paid a fee for services rendered. It eliminates a lot of conflict-of-interest. Finally, consider appointing a trust protector—someone who has the right to change trustees if they see irregularities or impropriety. Choosing a trust protector should follow the same stringent process as selecting the trustee.